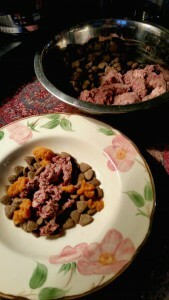 If you read this blog often, you’ll know I do very few sponsored dog food reviews. The “one and done” approach doesn’t seem adequate to getting to know a dog food. To me, sharing products I really like, know, and use is what friends do! And I’m doing that today for a company in the super-premium category, Five Star and their raw dog food. This is a sponsored post. The text and opinions are my own. 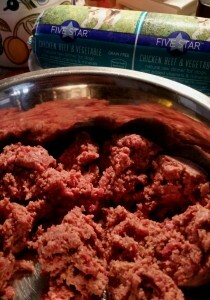 Five Star Raw Frozen Dog Food — human grade food, USDA Certified and quality controlled. 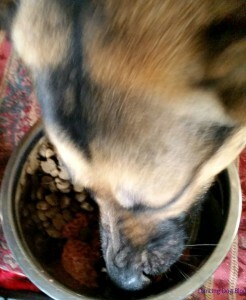 When I first heard about Five Star Raw Dog Food, I had all the immediate concerns on the tip of my tongue: Any ingredients from China (No), raw ingredients source (US), what about the vitamins (US). Then I took a breath and was told all ingredients are human grade. Not only that, but each run is made in small batches with a USDA agent continuously present. The USDA agent inspects incoming ingredients, confirms sourcing is as stated, and enforces sanitation codes. I smiled. Then I grinned. There aren’t many USDA certified raw frozen pet foods out there. It’s a demanding, meticulous, and expensive process. But more on that later, let’s get to the good stuff. “Yes, I’ll just start now, thanks!” Kiki is very food driven…and loves this Five Star Raw Dog Food. Having removed frozen chubs from the shipping box and thawed in the refrigerator overnight, we prepped dinner for two, adding Five Star into the mix of current food. when I heard a Shih Tzu voice talking to me, and he wouldn’t stop until I relented. He’s 16 going on 17 and I thought this might be more Kiki’s style, but he really enjoyed his new food topper! So enters expert #2. 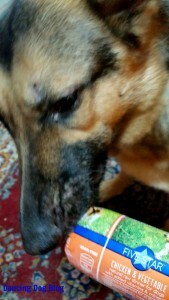 Dogs young and old, big and small, agree Five Star is yummy! Five Star served as a topper is a great part of any diet, especially if you rotate your proteins. This stuff looks good, smells good, and has no after effects, in our experience, like gas. Great texture in Five Star food. It holds up to slicing, is never heated or irradiated. 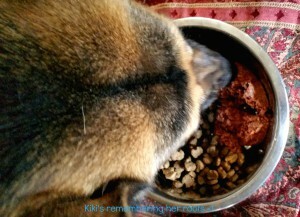 Kiki races through her Five Star raw dog food, the first time I noticed her nose crinkles! Feeling what I imagine might be a little wild with all that rawness, Kiki works on polishing off the new food first! Five Star diets meet a higher standard. Human Grade here means the end product is safe for humans to eat. Pet foods are “feed” grade, not for human consumption. Cold manufacturing is used and has been labeled the key to safety for raw food, ensuring all ingredients are below 28 degrees throughout the production run. This prevents the growth of pathogens. Food is packaged into 1 lb. airtight chubs and stored at 8 degrees. Fill in your pet’s weight, choose a feeding plan, and the correct amount of food will be delivered to you every two weeks. As long as your dog is healthy, it’s a very good idea to let her experience different proteins to get the best nutrition. Even if you don’t want to change your dog’s food, you can enhance it by using Five Star as a topping or as training treats. Our sponsored review of Five Star raw dog food ends here, but if you have questions or concerns about feeding raw, please comment below and we’ll get the answers! Have you used State of Nature Raw Dog Food? How does it compare to Five Star. 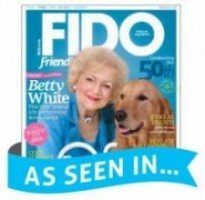 I'm always looking for quality products to recommend to my dog training clients in New York City. It's so cool that there is a USDA professional there every step of the way! I love that this food contains human grade ingredients, that is very rare. I'm glad this raw food is working for your dogs. Oh I am loving the sound of this! What a nice review. Sounds like a good dog food! I'm glad that your dogs enjoyed it. Sounds yummy & looks great as a topper - great idea to slow down the gobble!! It's great to know where the ingredients come from and that there are more high-grade options available. Thanks for sharing the information. This is a great review - I also feed raw (Darwins) to my dogs so rarely do reviews and I loved learning about this raw option. Thanks! Wow- great review. Sounds yummy and healthy. I'm sure Kilo the greedy Pug would love to taste test it. 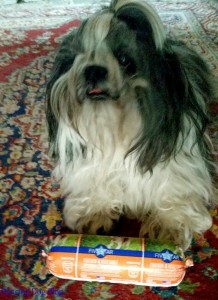 @talenthounds Ah, I have a greedy Shih Tzu that insisted he be part of the test. I am certain he never would have forgiven me if he did not get his share of duck =) I bet Kilo would love it too. Thanks for your kind comment and for taking the time to chime in! They do put in a lot of effort and care to produce this food. I am impressed and engaged by a company that uses the exacting production standards evidenced by the USDA Certified label. 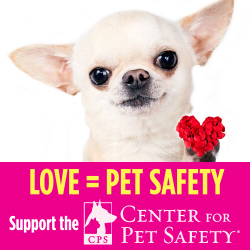 Putting optimal nutrition and pet safety first works for us all. I'm always looking for raw meat sources, especially duck and rabbit. I'll look for Five Star. 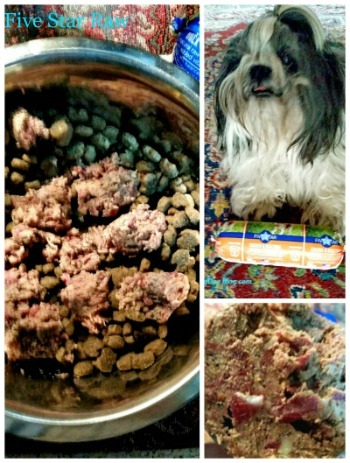 Glad to see that your dogs are enjoying the new food! 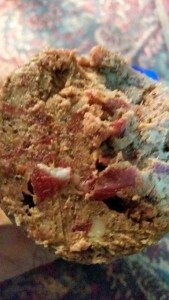 My dogs don't eat raw but this looks like its great quality! Just starting to use raw food as a topper. Yes - it's critical to know about the company - never heard of this company. Thank you for the review. @jodiclock New company, Jodi, really making a grand entrance, too =) Check them out when you have an opportunity, and thanks for the visit! That looks really good. I haven't heard of Five Star. But I think my pups would really enjoy it as a food topper!!! Chuleta is super finicky when it comes to her food, but it's good to know that your top inspectors were satisfied! If anyone asks for feeding raw suggestions, I will definitely mention Five Star. I am very impressed by all ingredients being from the U.S.
@MostlyMyDog Thanks so much -- Tashi is the same, which is why I was so surprised at his lobbying for the raw duck, lol! Of course, though I haven't had it in awhile, I recall that duck is pretty tasty =) I agree about the ingredients source...it was such a relief to know the vitamins were *not* from China but here. Not that we don't have polluted lands, but accountability is important. But that's a subject for another post! Thanks for the visit. I think 5 star is the brand one of my friends uses. Her dogs love it. @dailydogtag This new company is really interesting -- thanks for that anecdote! I'm sure they'll be happy to hear it! Interesting. I don't think I've seen this in any of our local stores. Where do you buy it from? Thanks for the review! This is not a food I had heard about. Glad to hear that your dogs enjoyed it! Very interesting! Do they make this for cats? It looks like a great commercial raw option. Sounds like a great, convenient option for feeding raw. I'd never heard of it! Thanks for informing me. @WellMinded Glad to help -- convenience is a siren song for many of us these day and who can argue with human grade USDA inspected, approved and Certified food for dogs? Thanks for stopping by! @spencerthegoldendoodle Glad you enjoyed it Spencer! I removed 25% of Tashi's regular food to add in the Five Star (oh my dog, he loved the Duck...he's been quacking ever since...), half of Kiki's after a couple of days, but you might want to pass it by your vet and have the ingredients of both with you printed out in case a more lengthy conversation ensues. Previous post: Pet Car Seats: Do They Work in a Crash?